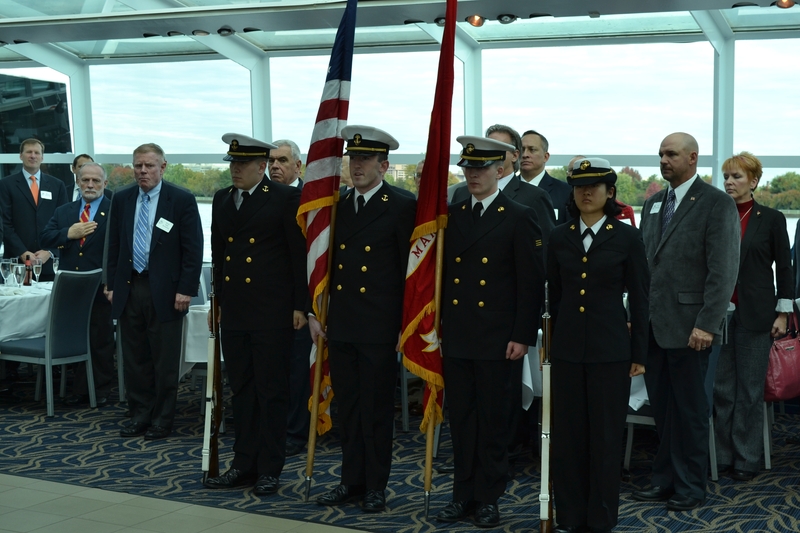 Late last week, I got to celebrate the 238th Marine Corps birthday in style with living Marine Corps legends aboard the Odyssey, an elegant cruise boat docked at Washington, D.C.’s Southwest waterfront. 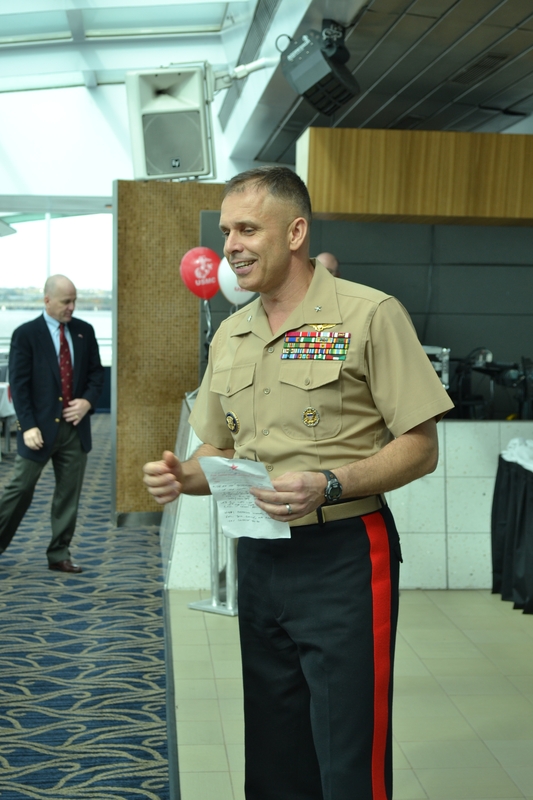 This was the 13th year that brothers Robert and Scott Shaw have collaborated to host a distinctive birthday celebration afloat, with time-honored Marine Corps traditions and celebrated guests of honor. Robert, a former captain and past president of Odyssey Cruises, and Scott, a retired lieutenant colonel, both follow in the steps of their father, the late Robert W. Shaw Sr., who retired as a lieutenant colonel. They say the guest list for their annual cruise is composed of about 100 friends and friends of friends in the Marine Corps community, which includes quite a few history-makers. This year, the guest roll included retired Maj. Gen. Paul Lefebvre, immediate past commander of Marine Corps Forces Special Operations Command; retired Brig. Gen. Mike Downs, Silver Star recipient and veteran of the Tet Offensive in Vietnam; and Brig. Gen. Matthew Broderick, former chief of the Homeland Security Operations Center. Also in attendance was Lance Cpl. 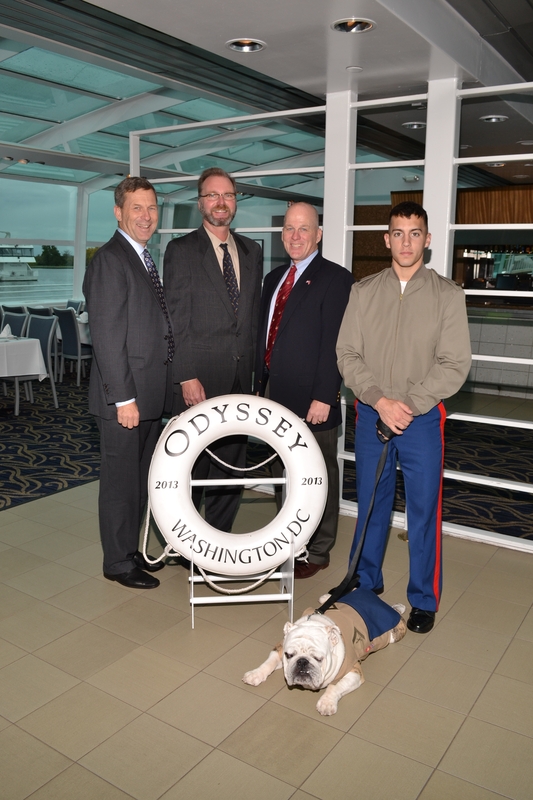 Chesty XIV, official Marine Corps mascot, who obligingly posed for photos with the guests. The ceremonial oldest Marine was 94-year-old retired Gen. Earl Anderson, former assistant commandant of the Marine Corps and the youngest Marine ever to pin on a fourth star in 1972. And the guest of honor was Brig. Gen. Matthew Glavy, assistant deputy commandant for aviation and, Robert Shaw said, his brother Scott’s former co-pilot. Organizers of the event say a date has already been set for next year’s birthday cruise.